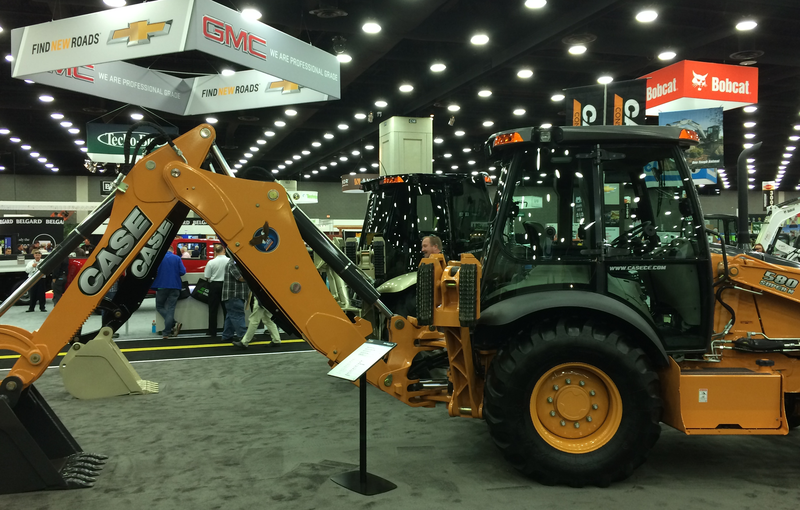 Last week, the folks at STI visited the Hardscapes North America and Green Industry and Equipment Expo in Louisville, Kentucky. In the two combined shows, more than 750 exhibitors showcased the latest and best new products in hardscapes, lawn and garden tools and equipment, landscape maintenance, outdoor leisure, rental lines and outdoor power equipment. 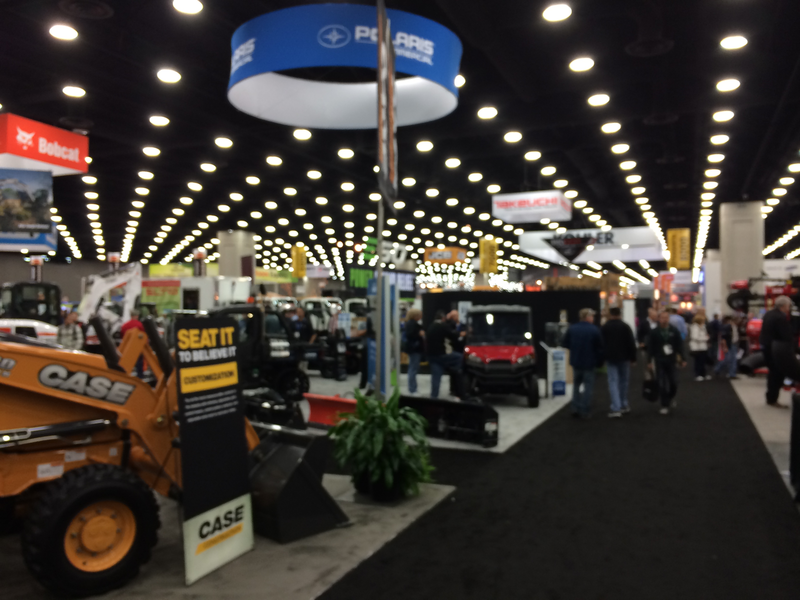 This year’s show marked the seventh anniversary of HNA, which is one of the largest hardscape industry trade shows in the world, with an estimated 17,000 hardscape and landscape contractors and distributors attendees from all over North America and the world. 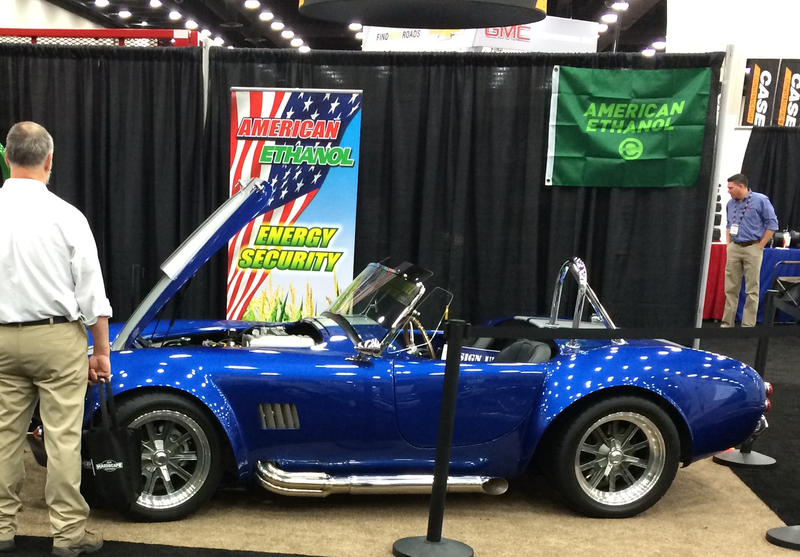 The shows covered more than 1,000,000 square feet, including the 642,000 square feet outdoor demonstration area, where heavy equipment and product demonstrations were happening throughout the show. The event also displayed the latest technology in water features and displays and outdoor lighting. The large outdoor demonstration area hosted workshops for beginners to learn the basics of building a backyard fire pit and an interlocking paver installation, presented by industry professionals. The outdoor demonstration area also featured several hardscape construction competitions. Competitors would race against the clock, to complete paver projects. This competition wasn’t for the average do-it-yourselfer. Every entrant in the competition was a professionally certified paver installer. 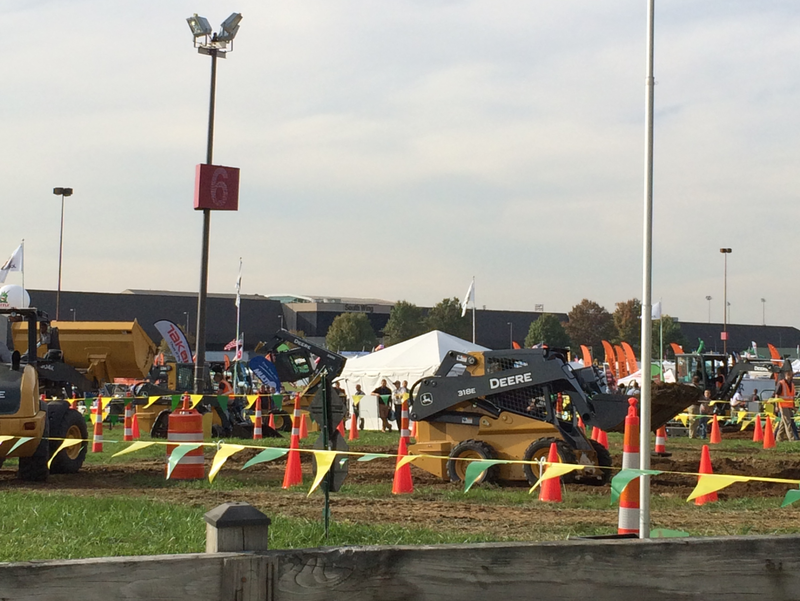 Throughout the two day event, the competitors completed various paver and retaining wall projects. Visitors could also demo the equipment found outside, from operating a front end loader to cutting wood with a chainsaw. HNA was also a great place to earn Continuing Education Credits and certifications. There were several workshops and seminars where landscape contractors could learn new techniques for installations. HNA also featured several conferences, allowing contractors to discuss everything from ways to help grow their business and market their brand to the best methods for increasing efficiency on the jobsite. Of course there was plenty of entertainment in Louisville. Fourth Street Live is a dining and entertainment district near downtown Louisville, where nightly free concerts were held. Montgomery Gentry was the headliner the first night. The Crashers and Jamie Lynn Spears played the second night before Olivia Henken and Josh Logan, finalists on NBC’s The Voice closed out the week.